Mud Springs is located near present day Dalton in Cheyenne County, Nebraska. First surveyed in 1856, the town served overland travelers on the Jules cutoff by connecting Lodgepole Creek to the Oregon Trail. The springs represented the first significant opportunity for obtaining water in a 24-mile stretch of barren overland trail. In 1860, the Pony Express established a line along the Jules cutoff and created a station at Mud Springs. In 1861, shortly before the Pony Express operations ended, a transcontinental telegraph station was positioned at Mud Springs, along with a daily stage coach service. In 1865, Sioux and Cheyenne Indians attacked the Mud Springs station. Having recently laid siege to the small town of Julesburg to the south in retaliation for a massacre of Cheyenne at Sand Creek, Colorado, the Indians intended to deliver the same fate to Mud Springs. A quick-thinking telegrapher, however, sent a distress signal to Fort Mitchell and Fort Laramie. Within a day, U.S. troops were in place at Mud Springs to stave off any attacks. The Mud Springs Telegraph Station continued operations until the 1876 rerouting of telegraph lines that made Mud Springs Station unnecessary. The area has had a vibrant history intimately tied to the Old West—as a station of the Pony Express, as a road ranch for weary westward travelers, and, finally, as a telegraph station. MUD SPRINGS STATION/A Station on the Pony Express Route--1860-61./A station on the First Transcontinental Telegraph Line./A station on the Overland Stage Route./Battle between Sioux Indians and U. S. Troops, Febr. 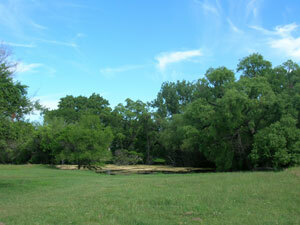 6th-7th, 1865/This site given to the State of Nebraska/by/Mrs. Etta A. Scherer and children/To be preserved as a memorial to all the early settlers who/won the West./Monument erected June 11, 1939,/by/The Mud Springs Womans Club. 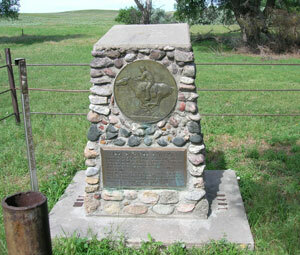 The Mud Springs Pony Express Station Site can be accessed by following State Highway 88 south for several miles from Bridgeport, NE. A sign directs visitors to Mud Springs to turn onto Road 99. Follow the road for 0.2 mile. Turn left onto Road 82 and proceed 1 mile. Turn right on Road 101 and travel 5.5 miles. Then turn left on to Mud Springs Road/ Road 70 and travel for 4 miles.